Although we can see the development in complexity in Maffei’s way of designing and weaving build from the smaller, earlier portraits to pieces such as the movie theater and the “New York Times” series, the long, horizontal format of this particular piece was a new challenge. Maffei developed her ability to work without a full scale cartoon by starting with small images and then moving to images whose dimensions were more vertical. Narrower images would require her to manage fewer elements across the width of the piece at one time. 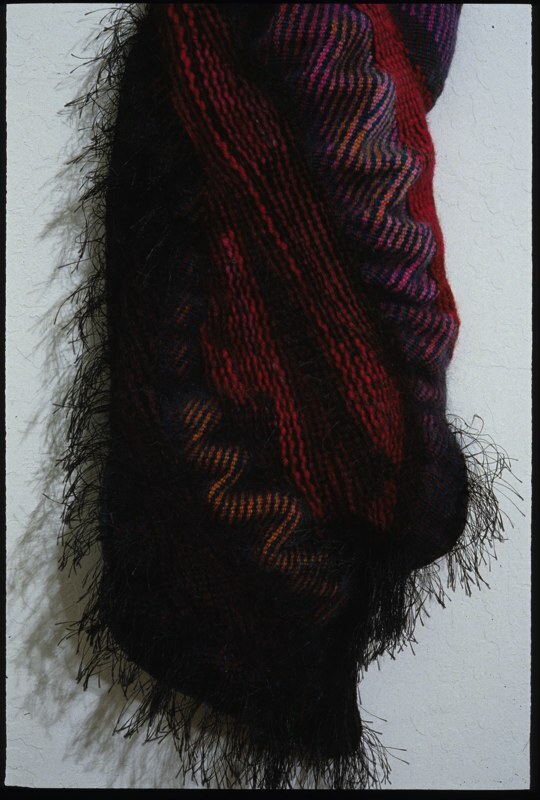 A vertical format also reflected her interest in thinking of the development of the image, or narrative, in tandem with the development of the weaving. Developing an image across a 14 foot expanse, on the other hand, requires the ability to manage and unify many more elements at one time. In the Roland Park tapestry, and even in The Blessing of the Animals, View from 252 and Graffiti, the development of the narrative occurs both horizontally and vertically, following more closely the model of the continuous narratives so common in historic European tapestry. The story is fleshed out by joining together many parts or events which may not have been synchronous or even located in the same space. Within the broader narrative structure we see the influences of pre-Columbian tapestry – strong color contrast, distilled forms that are rooted firmly in the geometric grid of the warp and weft and the interest in pattern and motif repetition. We also see the narrative and decorative detail so characteristic of European tapestries. Throughout this presentation we have come to recognize the attributes that characterize Maffei’s tapestries – the use of pattern and flat, bright colors, the mixing of different spatial conventions and the development of narrative detail. 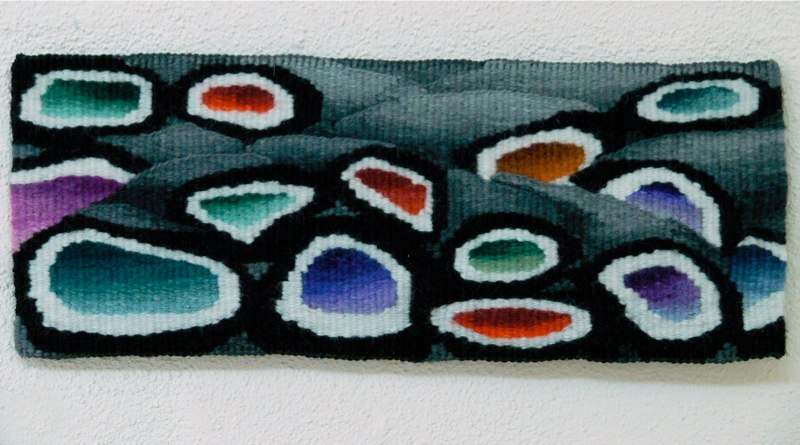 We have also seen that her unique style reflects an interest in integrating the structural qualities of tapestry, the weaving process and the image into a conceptual unity. 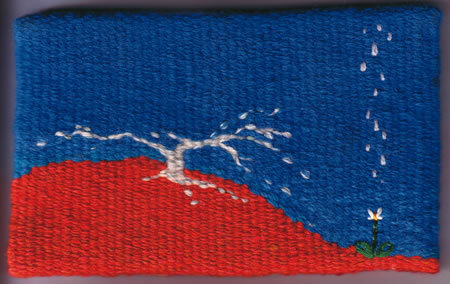 Her study, and admiration of historic tapestries has been a significant influence, but it is the way that she had assimilated their lessons into her thinking process, and then applied those principles to a subject matter that reflects her own interests and her own culture, that makes her work stand out. She has identified what she considers to be the features that make the earlier works so incredibly powerful and harnessed those powers to her own vision.